So you really messed something up and need to delete a Blogger blog permanently, but don't know how? You might have encountered an error message you can't get rid of, or it might be something wrong with the appearance. Blogger lets us to create up to 100 blogs without worrying about bandwidth, but sometimes we just want to reduce the number of junk blogs from list to keep it short and simple. In this case, we may have decided that it is time to delete it. So how do you delete a blog on Blogger permanently? Important: Removing or deleting your Blogger blog will also delete all of your blog data, including your existing blog posts. This means that your blog visitors won't be able to view your blog anymore, and that posts and pages associated with Blogger will be removed from your blog. 2. From the Dashboard (that's the area you see right after logging in that lists all your blogs) select the blog you want to delete. Make sure that you click on the right blog if you have more than one. 3. Navigate to the Settings tab and just below it the Other option. Click on it. 5. On the right side is the Blog tools section. To proceed with the deletion then click on the Delete blog link. 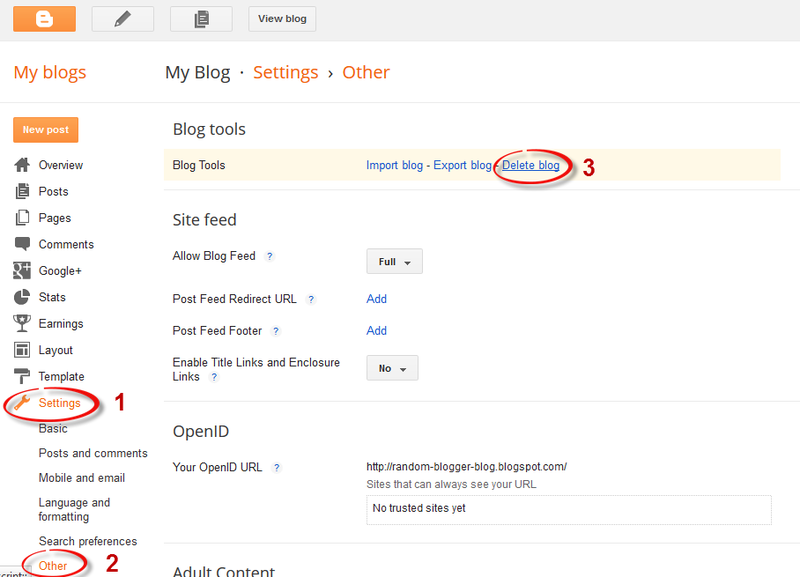 If you think you may want to come back to your blog or you've got posts that you want to keep, you can use the Export blog tool to export your blog before you delete it. You can either download your blog posts to your desktop or export it in a format that can be imported into other popular blogging formats. 6. Confirm that you want to delete it and you're done. Once you've pressed the Delete This Blog button, you will be redirected to the Dashboard. Notice that your blog is no longer displayed in the list of blogs. If you want to view your deleted blog you can click on the Deleted blogs link on the left side of your Blogger Dashboard to see your recently deleted blogs. Here you'll be able to see your deleted blog including details of its deletion date. To restore your blog, click on the Undelete button. Please keep in mind that deleted blogs can be restored within 90 days. 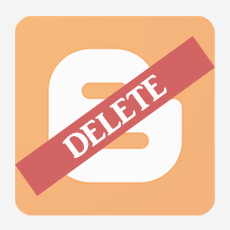 In this tutorial, we have covered some basic reasons why we might want to delete a Blogger blog permanently and the steps involved in deleting a Blogger blog. Instead of deleting the blog, you also have the option of making your blog private. By making it private, the blog will be kept in your Blogger account but no one will be able to view the blog without your permission.